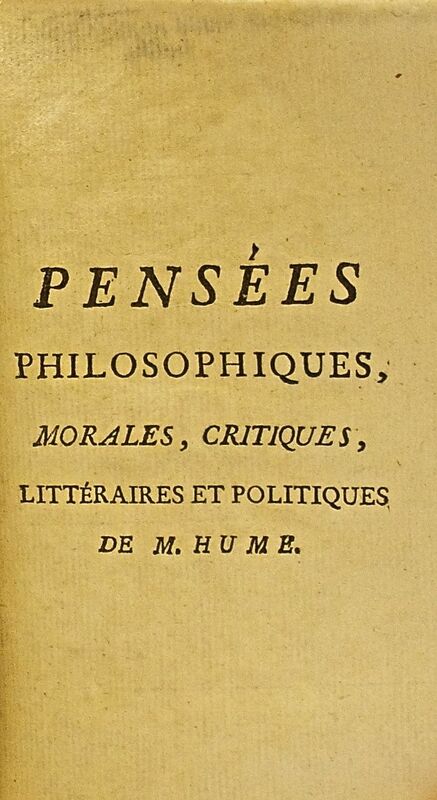 Pensées philosophiques, morales, critiques, littéraires et politiques de M. Hume - IFA Vintage and Current Book Library - Index Fund Advisors, Inc. 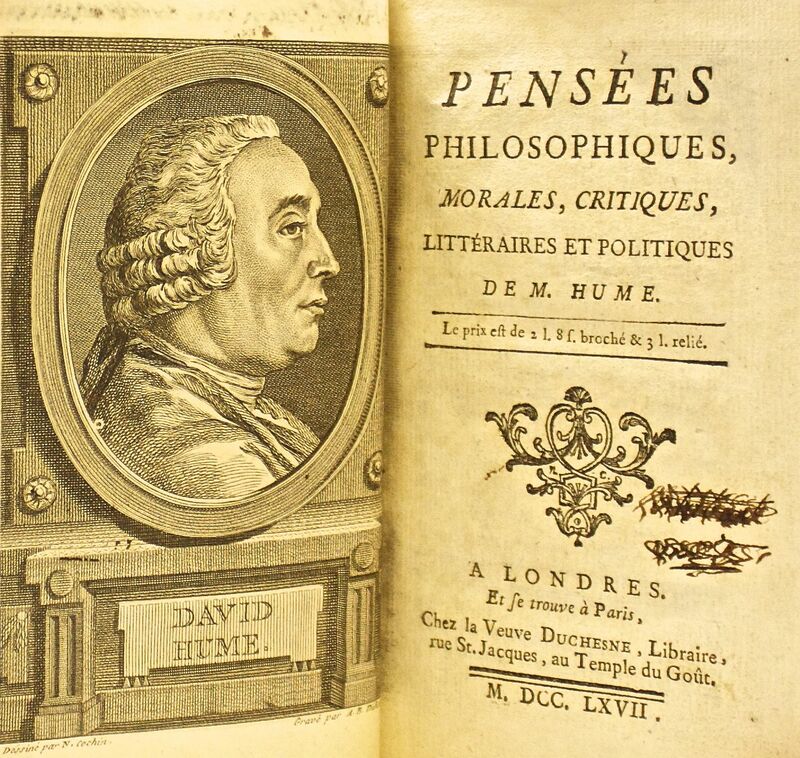 Essays, Moral, Political, and Literary is a compilation of essays by David Hume. Part I includes the essays from Essays, Moral and Political, plus two essays from Four Dissertations. The content of this part largely covers political and aesthetic issues. Part II includes the essays from Political Discourses, most of which develop economic themes. David Hume (/ˈhjuːm/; 7 May [O.S. 26 April] 1711 – 25 August 1776) was a Scottish philosopher, historian, economist, and essayist known especially for his philosophical empiricism and skepticism. He was one of the most important figures in the history of Western philosophy and the Scottish Enlightenment. Hume is often grouped with John Locke, George Berkeley, and a handful of others as a British Empiricist. 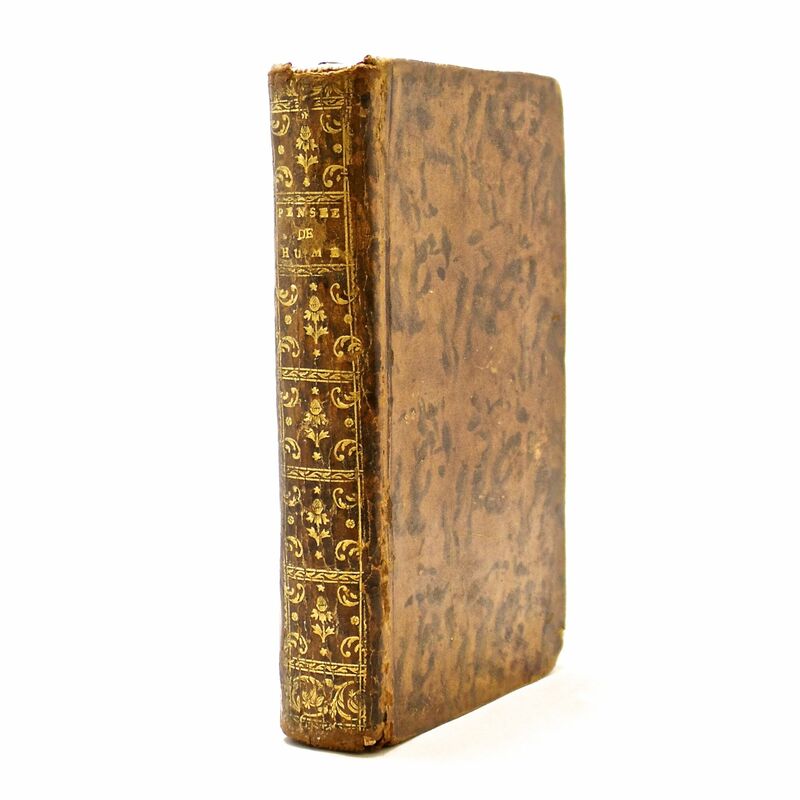 Beginning with his A Treatise of Human Nature (1739), Hume strove to create a total naturalistic "science of man" that examined the psychological basis of human nature. In stark opposition to the rationalists who preceded him, most notably Descartes, he concluded that desire rather than reason governed human behaviour, saying: "Reason is, and ought only to be the slave of the passions". A prominent figure in the sceptical philosophical tradition and a strong empiricist, he argued against the existence of innate ideas, concluding instead that humans have knowledge only of things they directly experience. Thus he divides perceptions between strong and lively "impressions" or direct sensations and fainter "ideas", which are copied from impressions. He developed the position that mental behaviour is governed by "custom", that is acquired ability; our use of induction, for example, is justified only by our idea of the "constant conjunction" of causes and effects. Without direct impressions of a metaphysical "self", he concluded that humans have no actual conception of the self, only of a bundle of sensations associated with the self. Hume advocated a compatibilist theory of free will that proved extremely influential on subsequent moral philosophy. He was also a sentimentalist who held that ethics are based on feelings rather than abstract moral principles. Hume also examined the normative is–ought problem. 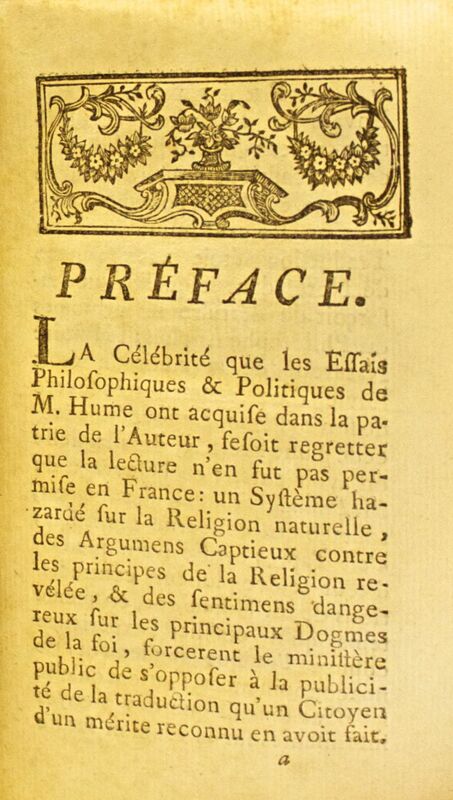 He held notoriously ambiguous views of Christianity, but famously challenged the argument from design in his Dialogues Concerning Natural Religion (1777). Immanuel Kant credited Hume with waking him up from his "dogmatic slumbers" and Hume has proved extremely influential on subsequent philosophy, especially on utilitarianism, logical positivism, William James, philosophy of science, early analytic philosophy, cognitive philosophy, and other movements and thinkers. The philosopher Jerry Fodor proclaimed Hume's Treatise "the founding document of cognitive science". Also famous as a prose stylist, Hume pioneered the essay as a literary genre and engaged with contemporary intellectual luminaries such as Jean-Jacques Rousseau, Adam Smith (who acknowledged Hume's influence on his economics and political philosophy), James Boswell, Joseph Butler, and Thomas Reid.